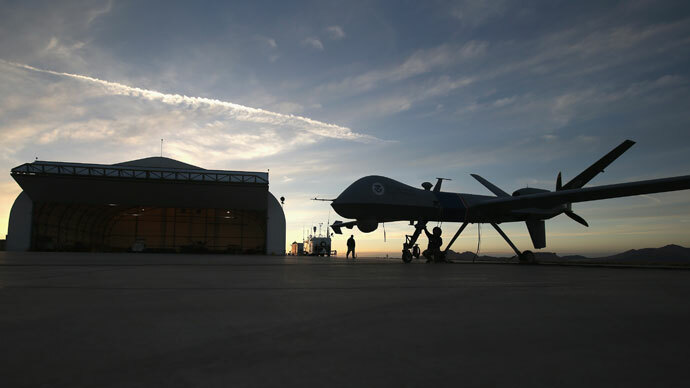 A series of blunders and near-accidents involving drones at the US military’s biggest base in East Africa have led to the whole fleet of unmanned aircraft being relocated farther inland, away from the city of Djibouti, to allay residents’ fears. 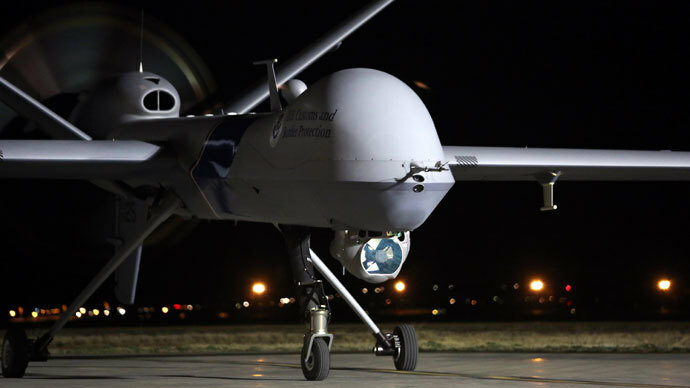 The move, first reported by The Washington Post, could hamper President Barack Obama administration’s counterterrorism initiative in the region, as the Camp Lemonnier base in Djibouti is a major US military hub, where drones took off and landed on average 16 times a day. Djiboutian officials this month started sounding the alarm that the drones’ recent series of crashes showed them to be dangerous and prompted fears of collisions with passenger planes in civilian airspace. Causes of drone crashes have included human error, navigation systems failure and onboard computer malfunctions, resulting in the unmanned vehicles spinning out of control and often landing within a kilometer of densely populated areas and civilian buildings. The key difference for the US Air Force – in comparison with its flights in Afghanistan – is that in Djibouti it is obliged to share the skies with civilian aircraft, relying on the same air traffic scheduling and shared runways. For now, the base has been relocated to the Chabelley Airfield deeper in the desert. The switch was revealed by unclassified documents obtained as part of a request for public records. According to Air Force records, at least five accidents have taken place at Camp Lemonnier since January 2011. 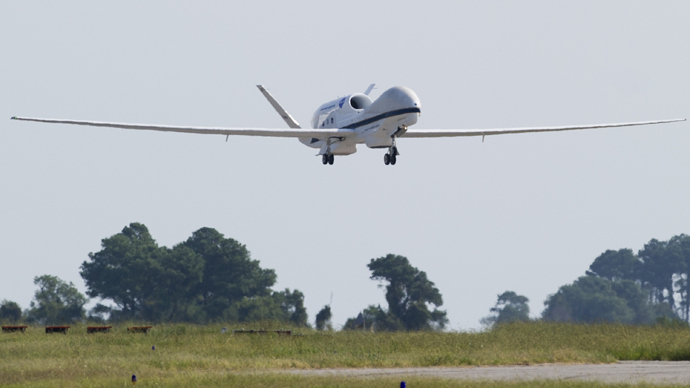 April 4, 2013, saw a particularly bizarre incident, in which an inexperienced military contractor managed to crash the drone in six minutes by making one mistake after another – including flying without permission, switching off the engine by mistake and forgetting about the landing gear. The result was a crash landing at a civilian airport that serves a half-million passengers a year, mostly tourists. Another accident, in 2011, resulted in a malfunction that crashed the drone into a residential area of Djibouti, nearly 5 kilometers away from its intended landing place. Just 10 days afterward, another drone crash-landed about 1.5 kilometers from the city of Djibouti. The US military currently pays the Djiboutian government $38 million a year to rent the base, but local officials worry that the risks simply outweigh the benefits, as the unmanned vehicles are too close to Djibouti City. He said that his government is in discussion with the US on future long-term deals, adding that the base’s new location in Chabelley is “the best option available at the moment, for them, for us,” the Washington Post reported. Despite the Djiboutian government’s increasing uncertainty with the arrangement, the Pentagon plans to invest more than $1 billion to expand Camp Lemonnier into an even bigger regional hub. The base is considered key to support wider US operations throughout Africa, especially with a much larger deployment of troops across the continent, as well as the Arabian Peninsula and parts of the Indian Ocean. A total of $228 million will be spent on a new compound housing about 700 troops from the secretive Joint Special Operations Command. As the base is considered too strategically important for the US to lose, moving the drones inland appears to be the best option in the circumstances. Drones from Camp Lemonnier would often head for the collapsed neighboring state of Somalia, or the Gulf of Aden in Yemen – a target of more strikes than almost any other country in Obama’s campaign against Al-Qaeda. About 3,200 civilians and contractors currently inhabit the camp, whose function is to train foreign militaries, gather intelligence and distribute humanitarian aid across East Africa in an effort to prevent extremism from flourishing. While the expansion of the base is in the works, the Pentagon has recently taken measures to extend its campaign of drone warfare for another decade, coming up with “disposition matrix,” or targeting database, as well as a top-secret “playbook” – a new set of guidelines the US uses to choose whom to eliminate. The Djibouti location is America’s key base for drone strikes on its most valuable targets in the Middle East, Asia and Africa, even though for the past 10 years the US has repeatedly referred to it as a temporary solution. Presently, it is set to become the main hub of all US drone operations. The reaction of the world to drone warfare as such has become more negative under the Obama administration than it ever was during George W. Bush’s tenure of the White House. Drone strikes have dramatically increased in number, and so have the civilian casualties in Yemen and Pakistan, both of whom are also recipients of large US funding and help in battling regional elements of Al-Qaeda. Washington’s drone war has turned Yemeni civilians against the US and sparked “intense anger and hatred,” which Al-Qaeda itself has exploited for recruitment, according to witness testimony at the US Senate’s first public hearing about the legality of drone strikes. As a result, US assistance to Yemen often goes unnoticed by most of the local population, as they are completely preoccupied by the drones flying overhead. 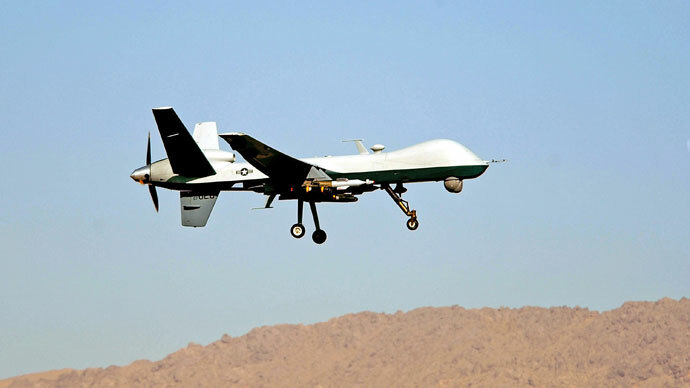 Likewise, in Pakistan, a UN team investigating casualties said that US drone strikes violated the country’s sovereignty. 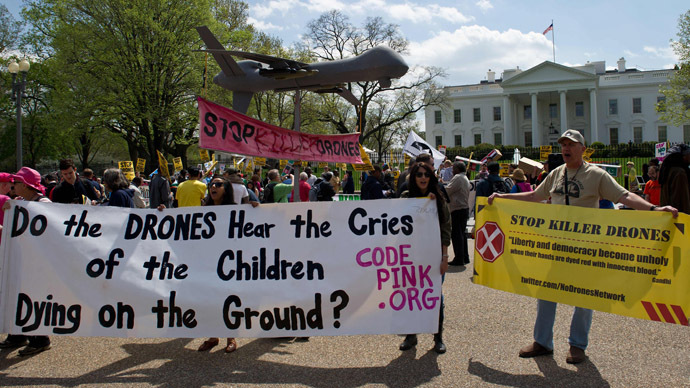 The Pakistani government claimed that at least 400 civilians have been killed by American drones. In August, UN Secretary-General Ban Ki-moon, speaking in Pakistan, stated that drones should be for surveillance use only, and the countries using them for any other purposes should do so within the boundaries set by international law. Ban said his words represented a “very clear position” from the UN, stressing that the organization expects those countries deploying drones to follow the law. “Every effort should be made to avoid mistakes and civilian casualties,” Ban said. Despite US claims that civilian casualties are “exceedingly rare,” a series of leaked CIA documents have shown that between 2006 and 2009, one in five victims of so-called “precision strikes” were civilians.